My wife and I had a prayer at the beginning of this year that we would be able to make the most of our last year in Zambia. God is busy answering that prayer. 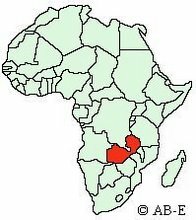 But, he is answering not just with our ministry opportunities, but also by getting a larger picture of what God is doing in Zambia. I wrote a lot about the short term team last week and how they blessed Patson. Yesterday I spent a couple hours with my friend Clay Hughey and the ministry of Family Legacy. They have been putting on camps for vulnerable and orphan children for the last 9 years. I couldn't hold back tears as I saw these young children, singing their hearts out, and Americans getting a taste of ministry and the world. So much of my ministry is to a smaller, deeper level. Both ministries are needed and necessary. But I tell you, knowing so much of the hurt and suffering these kids go through, to watch them enjoy, laugh, sing, dance, and eat for a week, and to engage with leaders who are focused on them is an amazing thing to watch. I have led camps for the last 10 years and I know the power of a camping ministry. But, this took it to a whole new level. Kids in Zambia are neglected and ignored. They are not really seen or given time or respect. This week was all about them. I have never really seen a ministry that was so huge with such a web of ministries and businesses that just boggled my mind. They are really going after it and praise God for how they encourage kids, not just for a week, but with ongoing sponsorships, school educations and drop in centers for the most neglected kids. They have 270 Zambians on staff, doing a variety of ministries. Pray that they would have wisdom in how they staff and that the nationals would get a real heart for the ministry, would be holy in their actions, and lead with integrity.